A colorful salad loaded with flavor! 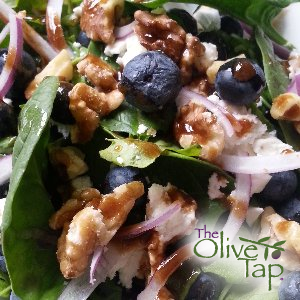 This fresh, delicious salad combines the sweetness of blueberries, the bite of feta cheese, and the crunch of walnuts. Dressed with Herbes de Provence Olive Oil and Blueberry Balsamic Vinegar, it’s a winning combination! 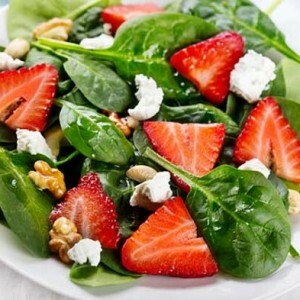 A sweet salad perfect for the holidays! 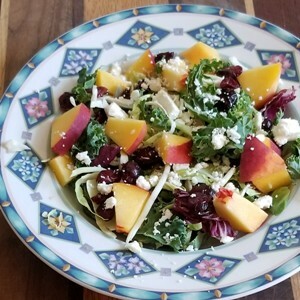 This fresh summery salad features a tasty vinaigrette made with our Perfect Pairing of Ascolano Extra Virgin Olive Oil and Peach White Balsamic Vinegar. It’s super easy, too; just use a pre-packaged Kale Vegetable Salad Mix! 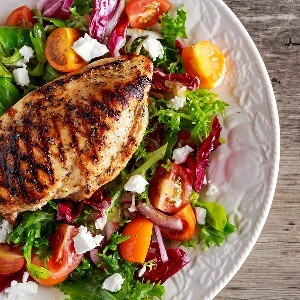 Fig and Garlic marinated chicken atop delicious salad greens with a complimentary vinaigrette! 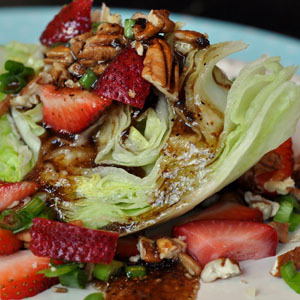 An exceptional summer salad recipe, featuring our Strawberry Balsamic Vinegar and Roasted Sesame Oil, explodes with sweet flavors and interesting textures. 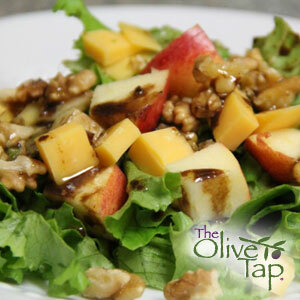 It’s also great with our Satsuma Mandarin Orange White Balsamic Vinegar. 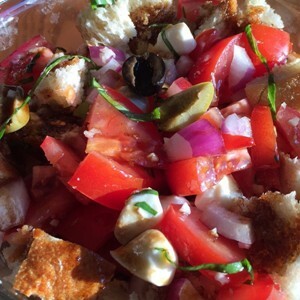 Featuring our top sellers: Aceto 4 Balsamico di Modena and Tuscan Herb Olive Oil, this classic Italian bread and tomato salad manages to be fresh and summery, but still hearty enough to eat as a light supper or lunch. 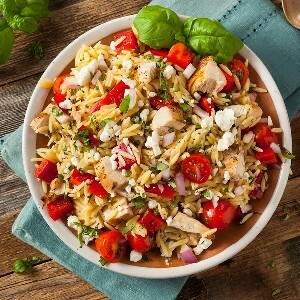 This recipe was originally created to take advantage of day old or stale bread and fresh juicy tomatoes. The juice from the tomatoes and the liquid from the other ingredients will soften and re-hydrate the bread.